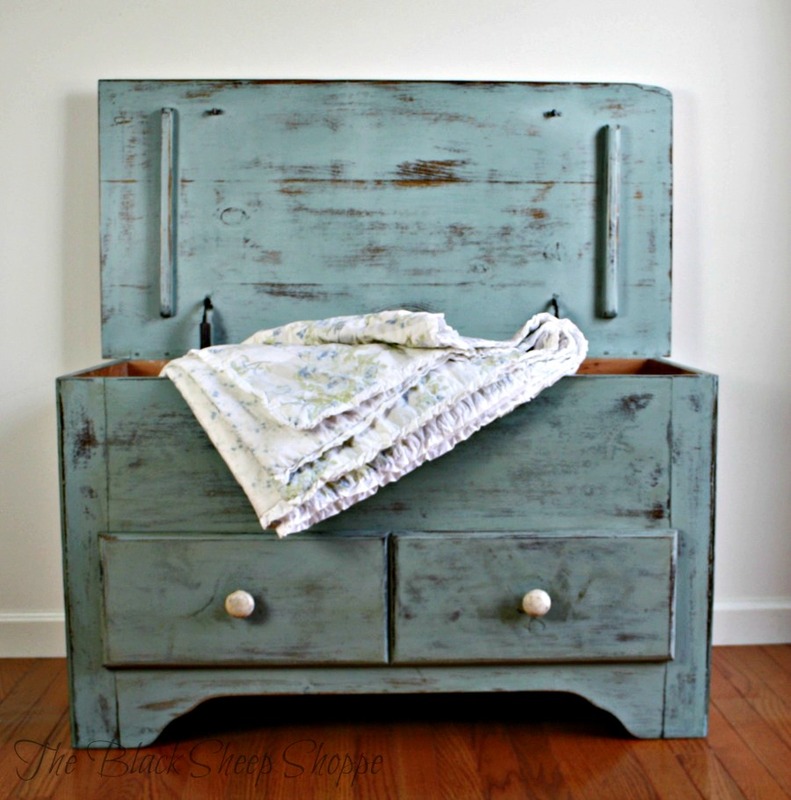 Today's project is a Shaker style blanket chest. The finish was a little worse for wear, and the top was broken. Which meant the price was right, so I snatched it up. 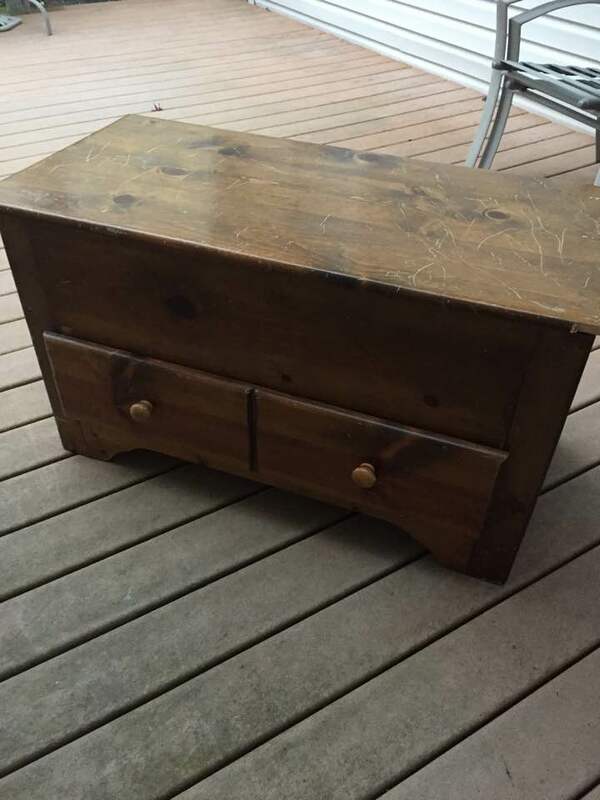 The main problem was the broken wood off front right corner of the top. I couldn't work it into my design as-is, so I decided to fill it in and shape it with wood filler. Broken wood in front right corner. I started by applying a base coat of wood filler. 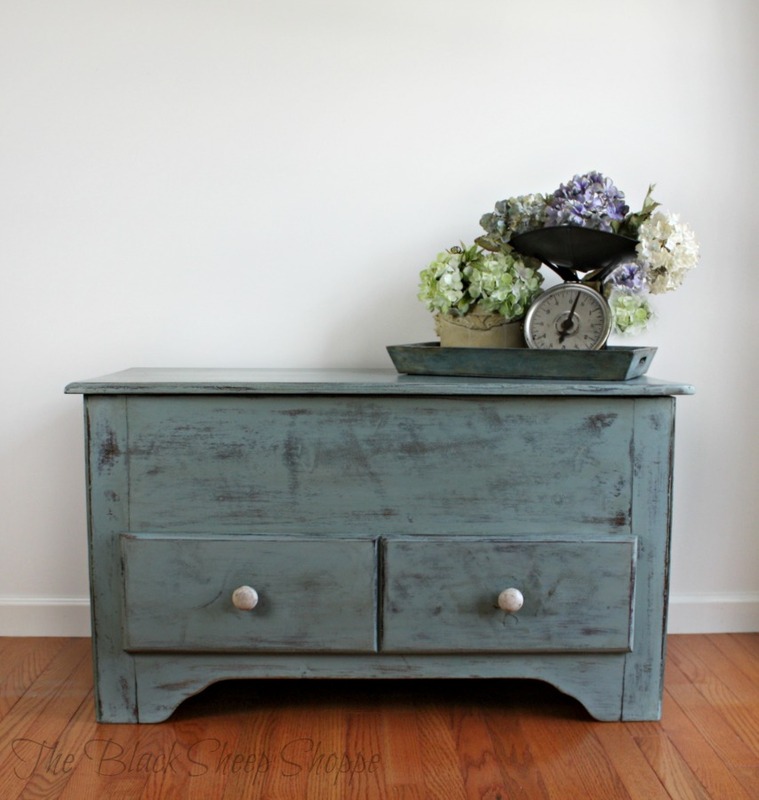 After it was dry I sanded it and then applied a second coat. First base layer of wood filler. I continued applying coats of wood filler to the damaged area until it was built up enough to shape it similar to the original shape. 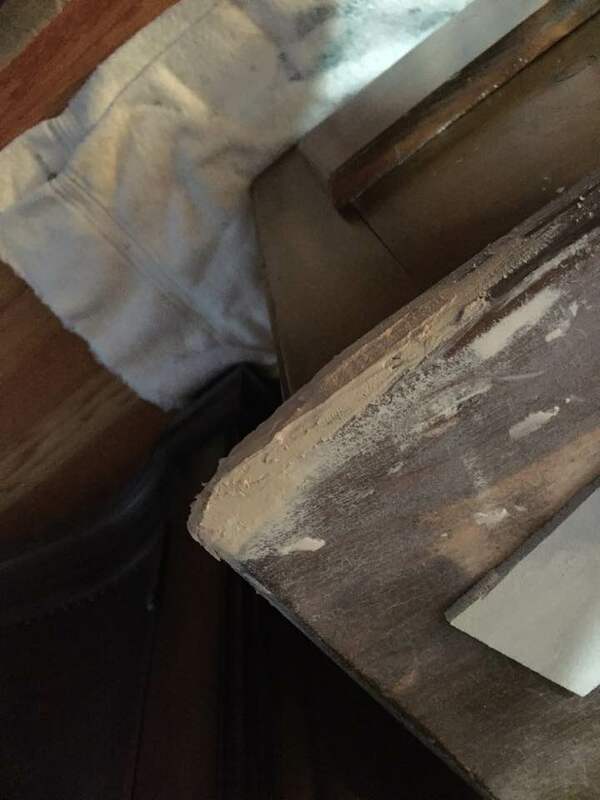 The photo below shows the second application of wood filler. 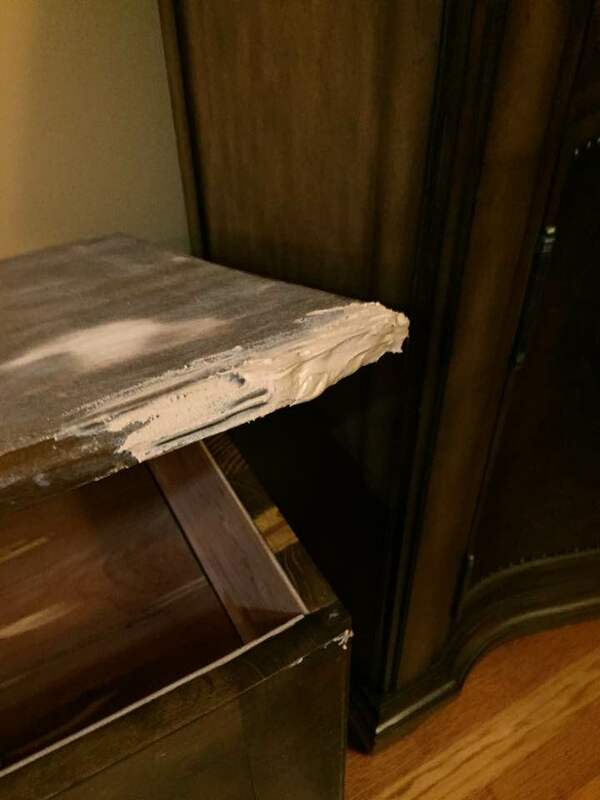 Second layer of wood filler. It took about 3 - 4 applications of wood filler. After I was satisfied with the overall shape, I used a flexible sanding sponge to smooth it out. Before I began painting I stained the wood filler which would blend in better after sanding and distressing the eventual painted finish. 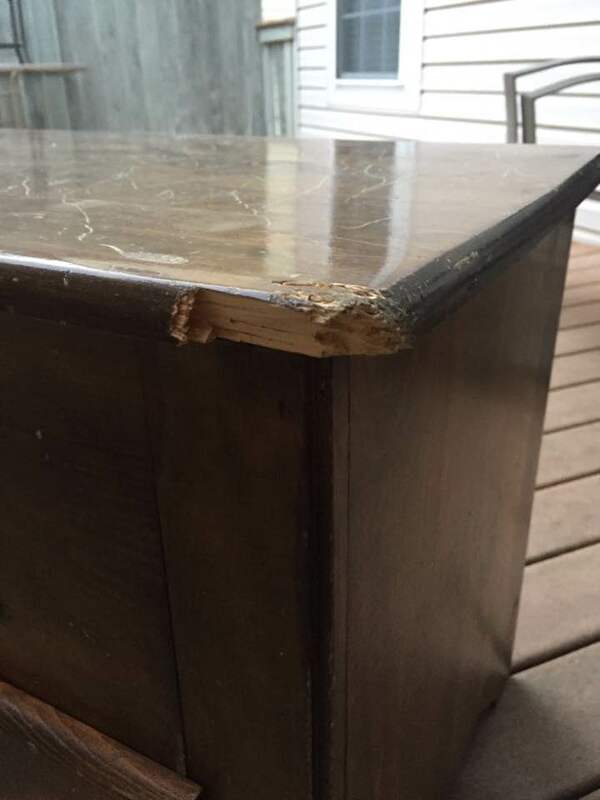 The next part to address was the scratched surface on the top. 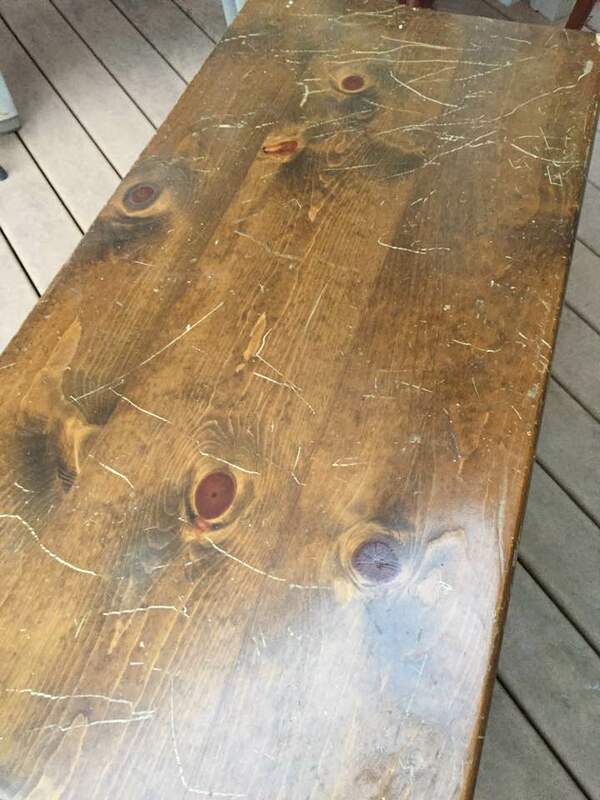 Multiple scratches in the wood. 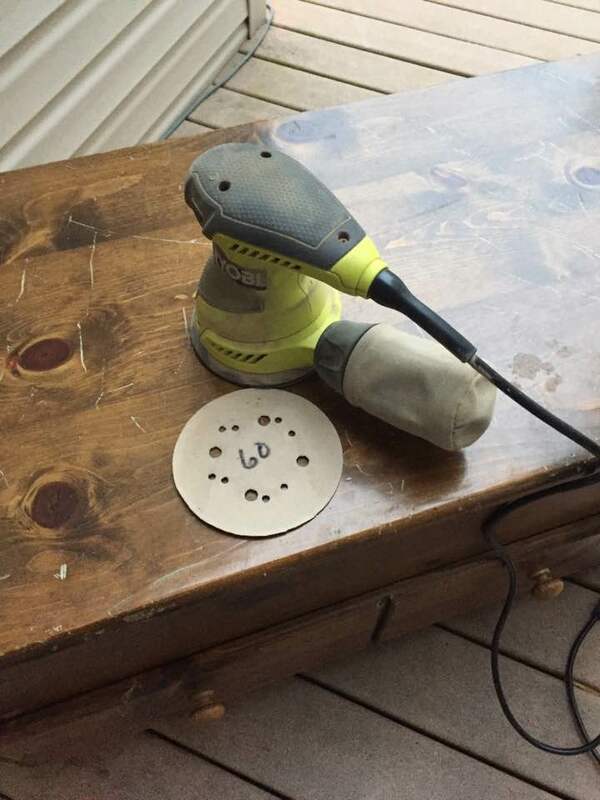 I used my orbital sander and 60-grit sandpaper. 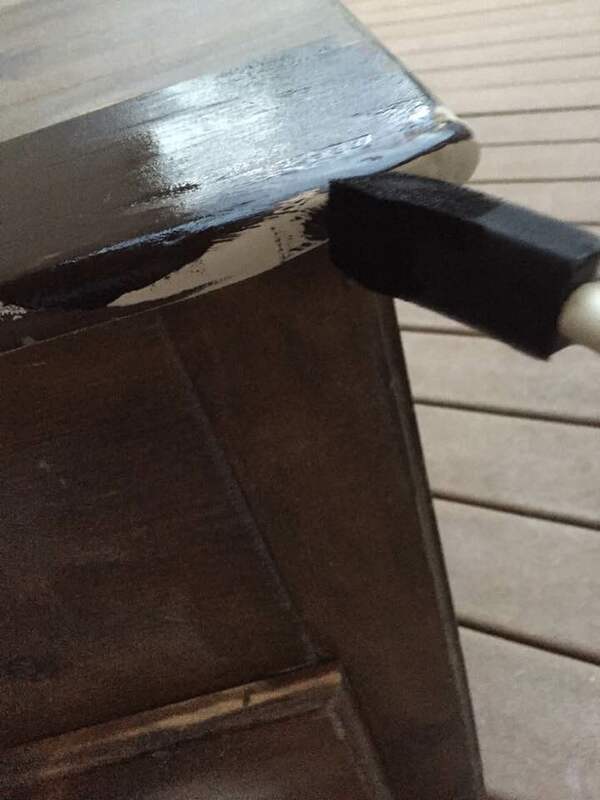 Some of the scratches were deep, so I didn't sand the wood completely smooth as I didn't want to damage the wood. 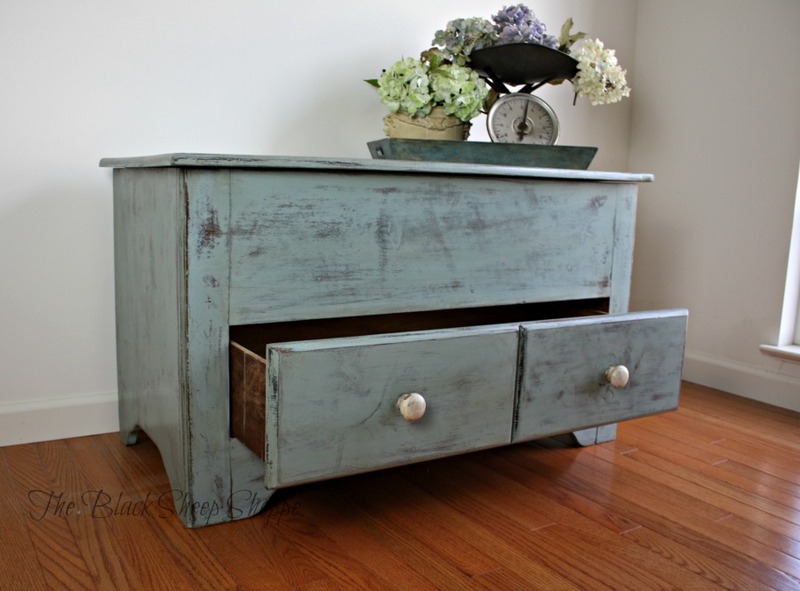 I planned on giving this a rustic finish, so a few scratches would blend it. Preparing to smooth the wood with an orbital sander. 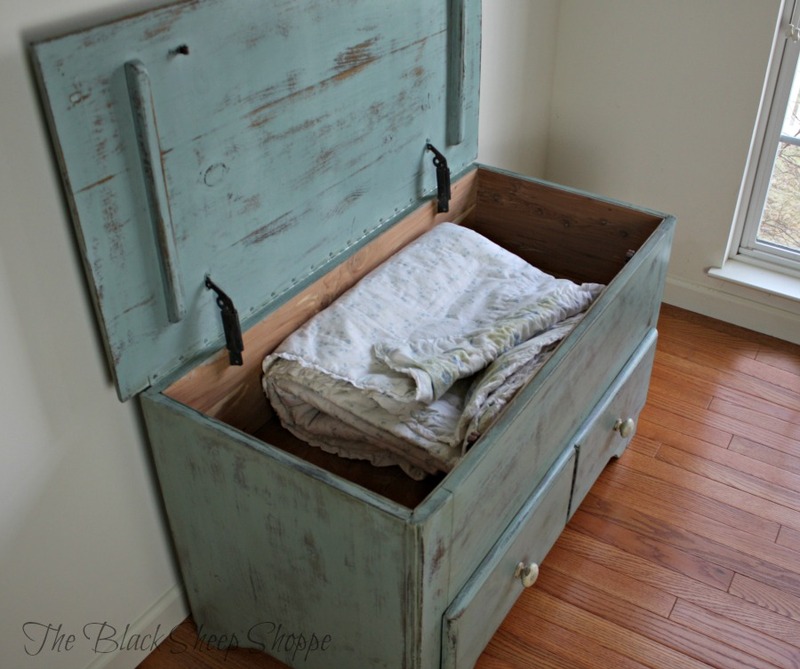 And below is the blanket chest prepped and ready for some paint. You'll notice the stain I used on the wood filler repair on the top right corner isn't an exact match to the rest of the finish. It won't be noticeable later. 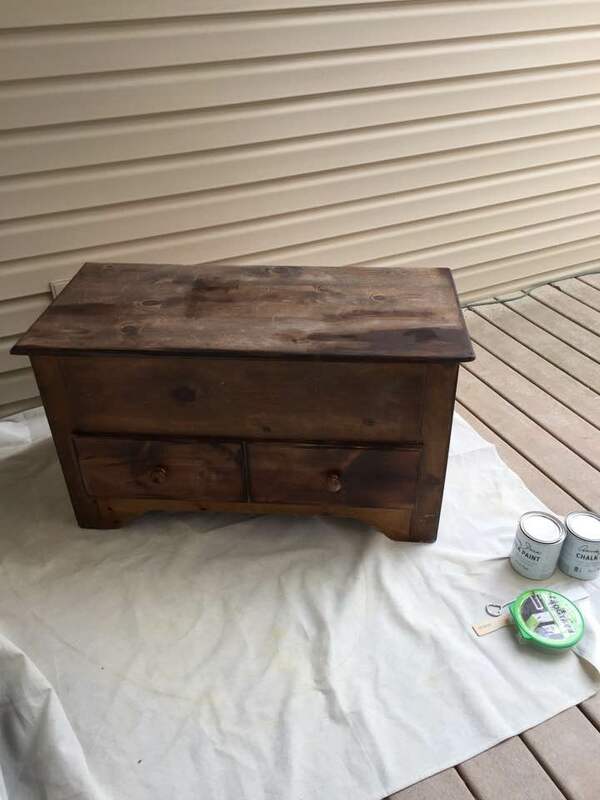 Blanket chest prepped and ready for paint! 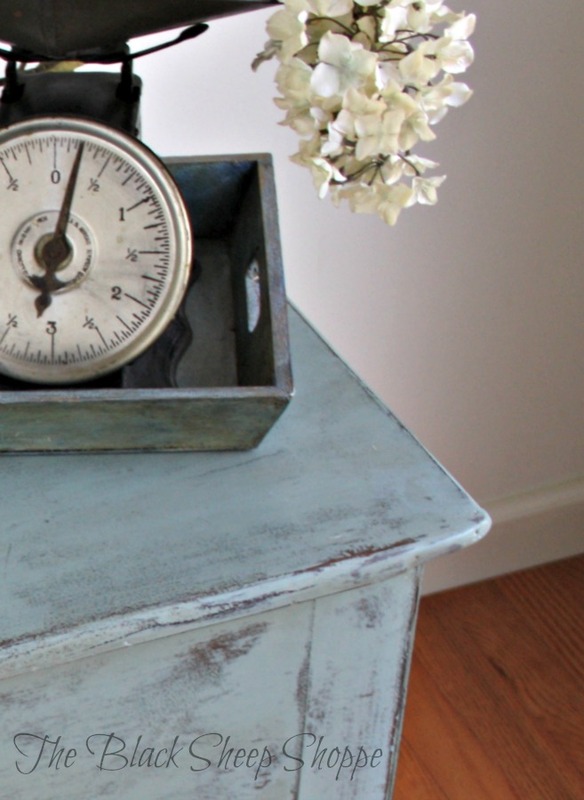 I applied one coat of Duck Egg blue chalk paint and sanded it back for a faded worn finish. 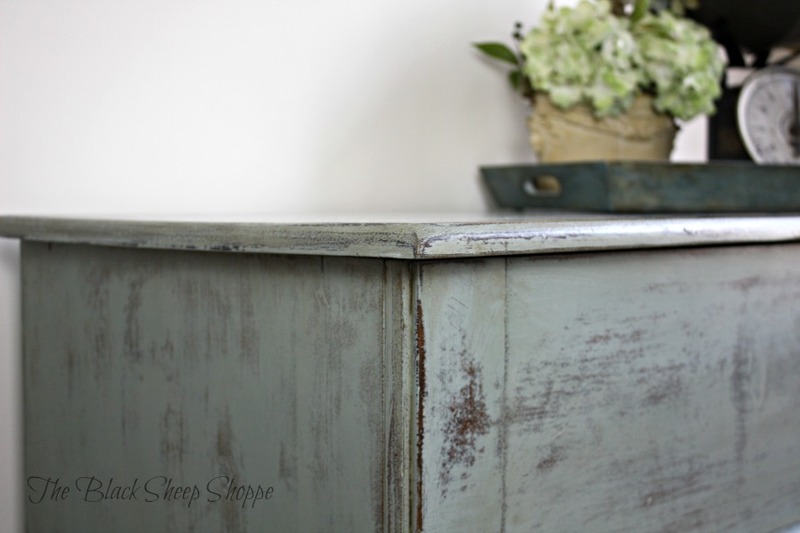 I sealed the paint with soft clear wax, and finished with a light coat of decorative glaze. Below are the supplies I used for this project. Some are affiliate links. 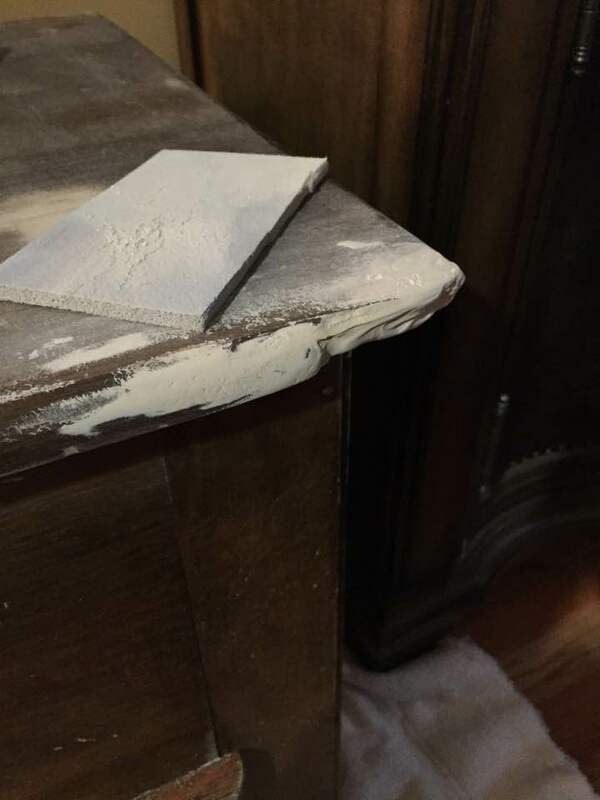 Flexible sanding pad (for shaping and smoothing woodfiller) and 220-grit sand paper (used later to distress the paint). General Finishes Gel Stains Antique Walnut (I can't remember if it was Antique Walnut or Java, but any dark stain would work. I prefer using the GF gel stains as they are less messy). 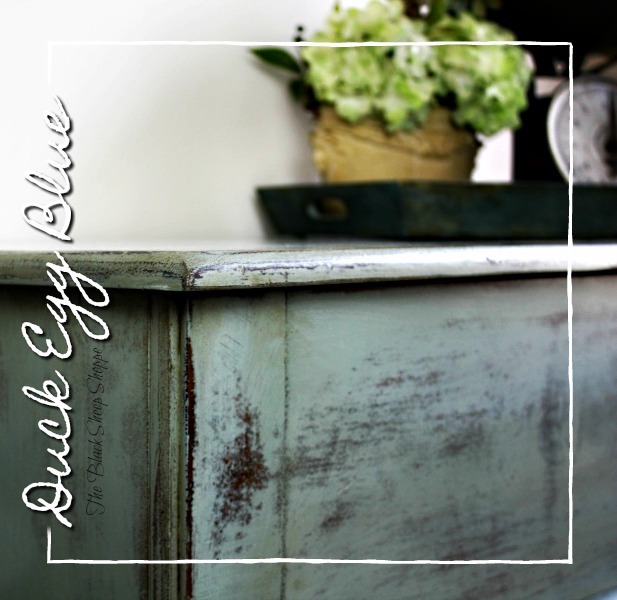 Annie Sloan products: (Duck Egg Blue) and soft clear wax.